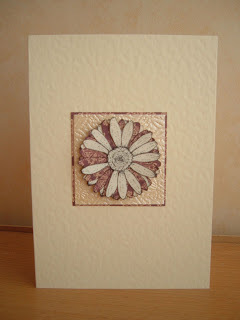 The smARt word for May was 'flower', hmmm where to start with creating a card, I have so many different flower stamps that it has taken me ages to decide, but here it is. I stamped the flower 4 times, twice on cream and twice on the patterned paper, I layed the first three, slightly offsetting them, then cut out some of the petals on the last cream layer. A very simple design for the card layout, but that is kind of me all over. Thanks for looking. 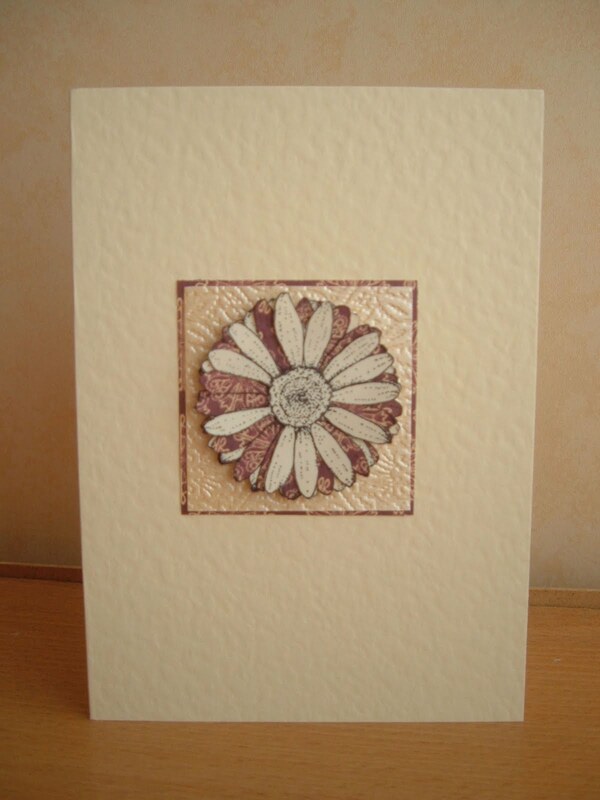 I like the simple elegance of this card, and whatever you did for texture on the square layer really adds personality. Thank you for entering this month's smART-Word Challenge.